I recently had the great pleasure of interviewing with Ian at Aquinas & More Catholic Goods about Our Lady, Undoer of Knots: A Living Novena. Ian is awesome to work with, and I know you’ll love listening to our conversation. 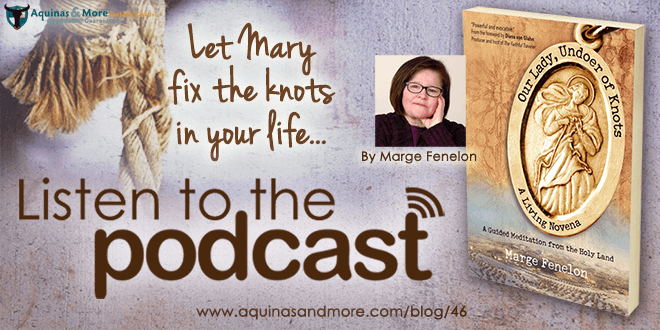 Aquinas & More, Our Lady, Podcasts, Undoer of Knots. Bookmark. What are you hoping for when Pope Francis comes to the US?